Is this a stand-up fight or another bug hunt? Would Aliens–that epic sci-fi war movie sequel to the groundbreaking sci-fi horror tale Alien–have been half as great without the performance of Bill Paxton as Colonial Marine Private Hudson? Tens of thousands of fans came out to celebrate Paxton and his performance in the film when news spread of his passing this February. Always willing to recite a line from one of his movies for fans, you have to think he would have loved a read like Aliens: Bug Hunt, a new anthology from Titan Books. Aliens: Bug Hunt hones in on the gritty band of spacefaring soldiers as 19 authors share 15 new short stories of the Alien universe. 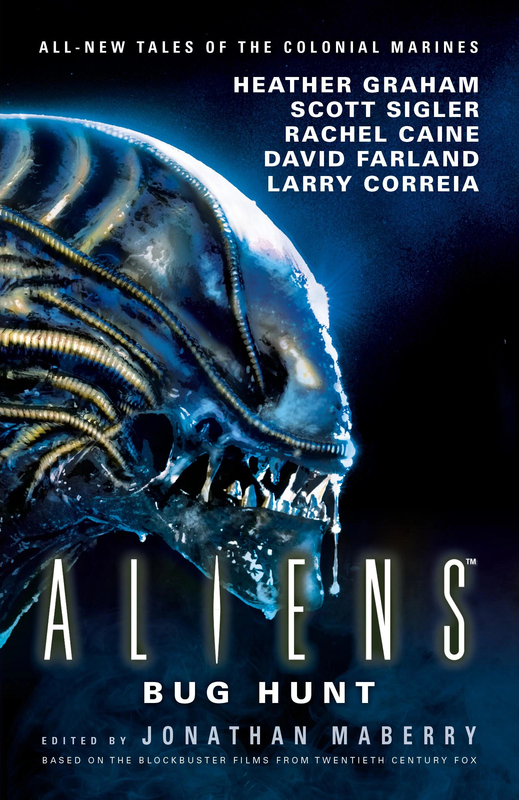 The new release, just after the Aliens 30th anniversary and nicely timed to this month’s theatrical release of Alien: Covenant, provides stories before and after Aliens, some sci-fi, some horror, action and drama, or a mix of each. One story tells the tale of Corporal Hicks before the events in Aliens, and a personal mission to locate the cause of his wife’s death. Another story details an operation of the Marines in an encounter with a hostile alien menace unrelated to the Xenomorphs. One story provides insight into the synthetic Bishop and how he came to be the determined and decisive crew member we met in the series. The anthology was edited by Jonathan Maberry with new works by Maberry and a “usual suspects” list of tie-in book writers and more. Dan Abnett, Rachel Caine, Larry Correia, Keith R.A. DeCandido, David Farland, Matt Forbeck, Ray Garton, Christopher Golden, Heather Graham, Brian Keene, Paul Kuppenberg, Tim Lebbon, Marina J. Lostetter, James A. Moore, Yvonne Navarro, Weston Ochse, Mike Resnick, and Scott Sigler contributed stories.